Desert Sparrow are an indie rock band hailing from Sydney. Kylie and Dave began their musical journey together by playing covers at open mics in 2013. Their main artistic influences are 60’s rock n roll, folk, spaghetti western, and surf. The result is a narrative experience which paints images of solitude, hardship and perseverance on backgrounds of desert roads and coastlines. 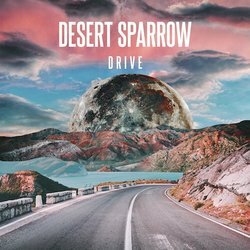 Desert Sparrow draws inspiration from bands such as Fleetwood Mac, Florence, BRMC, and Angus & Julia Stone. Kylie began playing piano at the age of 5 and fell in love with singing after hearing Stevie Nicks constantly playing from her parents’ stereo. Writing poetry and singing in her bedroom was always her way of releasing emotions. It wasn't until she met Dave that she decided to take it to the stage. Dave’s interest in music came later, buying a guitar at 21. After hearing ‘Definitely Maybe’ by Oasis, he knew he wanted to start a band and pursue music. After recording their debut EP in 2014, the band decided to venture over to Los Angeles. There, they released a 2nd EP in 2016. Their new single “Drive” is out now. Drive is about that moment when you suddenly break free from the shackles of mundane life, when you say goodbye to everyone and everything you ever knew. You hop into the car and just drive. Everything behind you and nothing but the open road ahead. It’s the image of driving through isolated land to end up somewhere peaceful.